Delegation of elected & NGO Moroccan Sahrawi leaders (from l to r) Mohamed Cheikh Ismaili, Rakiya Eddarhem, Hamdi Cherifi, Hajbouha Zoubir, meet lawmakers, human rights activists in DC, urge US help free Mustapha Salma, join in making Moroccan Sahara positive example for troubled region. MACP (Washington, DC, June 20, 2013) — A delegation of Sahrawi elected and civil-society leaders traveled to Washington this week from Moroccan Sahara to speak with US lawmakers, policy experts, and others about the challenges and opportunities facing the region, and what Americans can do to help. The Sahara/Sahel region has been the focus of increased international attention with the French-led intervention in nearby Mali, which has given new urgency to resolving the decades-long Western Sahara dispute. “Our lives aren’t perfect, but we have rights, we are Moroccans, and we are moving forward,” said Hajbouha Zoubir, founding member of AmFED (Moroccan Association of Women’s Development) in Laayoune and currently working on the CESE (Economic, Social & Environmental Council), a consultative project with the people in Moroccan Sahara to address social, economic and other development issues to improve quality of life. 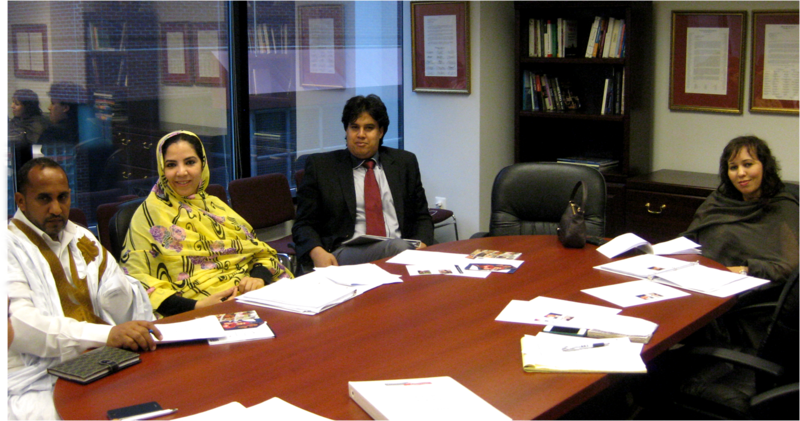 The Sahrawi leaders delegation specifically called attention to human rights violations in the Polisario-run refugee camps near Tindouf, Algeria and appealed for help to end the suffering of those held by the Polisario for several decades. The visit, which coincides with World Refugee Day, was an opportunity for delegation member Mohamed Cheikh Ismaili to share the humanitarian tragedy of his brother Mustapha Salma who began a hunger strike on May 20 to protest the Polisario’s denial of his right to rejoin his family in the camps. “It is time to end the suffering and exile of Mustapha Salma Ould Sidi Mouloud,” said Mohamed Cheikh Ismaili, brother of the Sahrawi human rights activist and former police chief of the Polisario-run refugee camps. 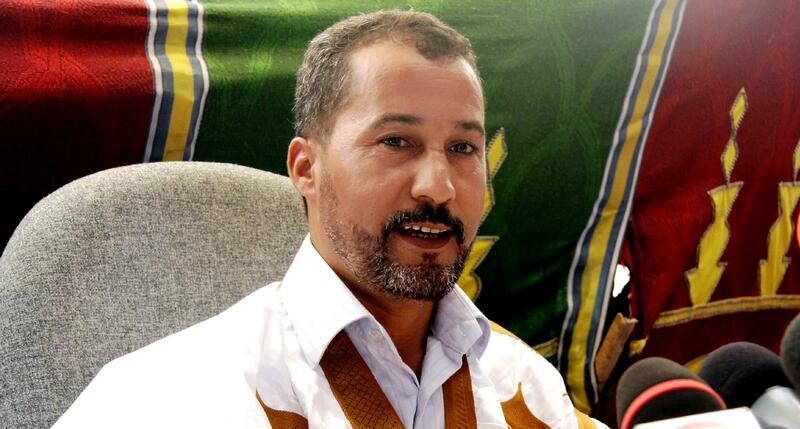 In 2010, Mustapha Salma was imprisoned for 72 days by the Polisario for expressing his support for Morocco’s compromise autonomy initiative to end the 36-year Western Sahara conflict. After an international human rights outcry, he was released to the UN High Commissioner of Refugees (UNHCR) in Mauritania. But for more than two years now he has been denied the papers necessary to leave and rejoin his wife and five children, who remain trapped in the Polisario-run camps. On May 20, he began a hunger strike and yesterday was taken to a hospital in Nouakchott, Mauritania. He expressed his thanks to his interlocutors in Washington for calling US public attention to this human tragedy.